Cubitainers® are low-density flexible polyethylene cube-shaped inserts inside a heavy-duty corrugated outer carton (32 ounce does not include carton). Easy to ship, handle and pour. Designed to collapse as product is dispensed. The non-glug design assures product flow in a continuous, uninterrupted stream. A reversible well design permits opening to be raised or depressed for pouring and storage. 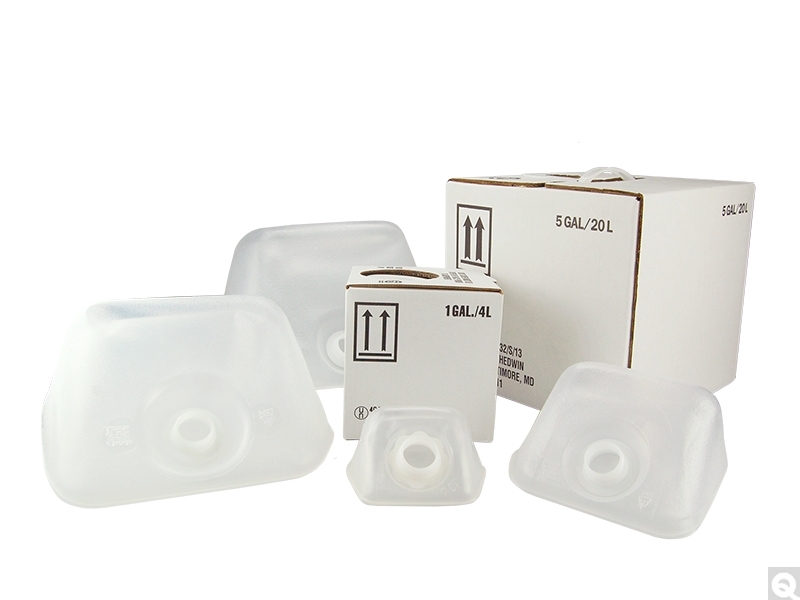 Built to withstand the rigors of hazardous chemical packaging. Click here to read more about Cubitainers.